There are many reasons why you may want tropical office plants, and there are many benefits to having them. Plants purify and renew stale air by trapping and absorbing air toxins and converting carbon dioxide to oxygen. They have also been shown to reduce Sick Building Syndrome and generally enhance a space by adding warmth and visual interest. But how do you go about picking the right plants for your office? There are many factors to evaluate when choosing plants that will survive and thrive in your space. 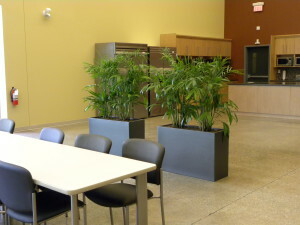 Below, are a list of details to consider when selecting interior tropical office plants. Evaluate your space. Do you have high ceilings and lots of open floor space? Is your office full of furniture, cubicles and file cabinets? What kind of space you have will be the initial factor that determines what style of plants best suit you – hanging plants, table top plants, or floor plants. 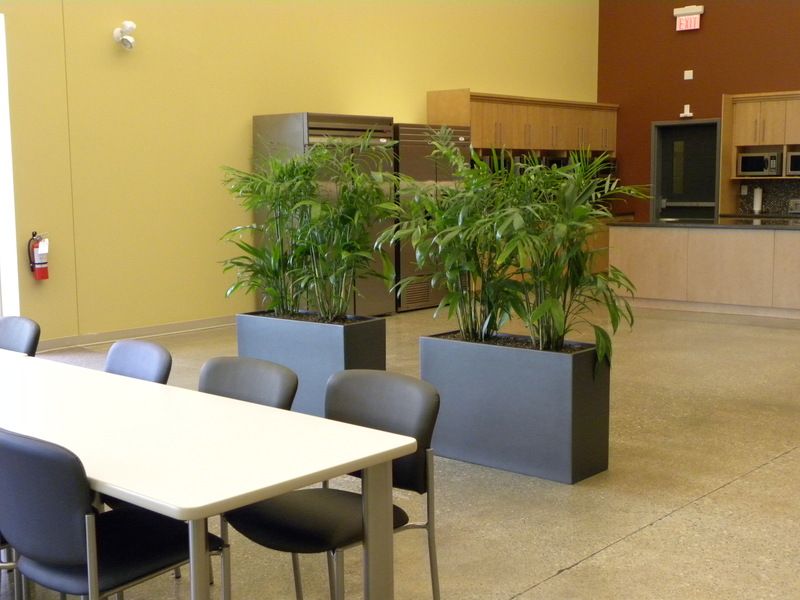 What purpose do you want your plants to serve in your office? Are they to add warmth and visual interest? Are they acting as space dividers or sound dampening agents? Knowing what function you want your plants to serve will streamline the design process and narrow down the selection of plants that fit your needs. Light is probably the most important factor to consider when picking plants. Do you have bright south windows? Do you have work spaces with no windows at all? Not all plants require the same amount of light – some more and some less. Accurately assessing the amount of light in a space is crucial to the success of interior tropical plants. Temperature has significant effect on tropical plants. Are there baseboard heaters in your building? Do you like to leave your windows open for fresh air in the winter? Temperature extremes can cause serious damage to your plants. A consistent, comfortable temperature will help ensure your plant’s health. Choose plants that are known to be hardy. Some tropical office plants are more tolerant and/or forgiving than others. Talk to an interior horticultural professional with experience working with a large variety of plants. They can offer recommendations on which plants successfully tolerate which environments, and ultimately which plants are best suited for you and your office.